Located in Bowling Green ky, Mex-Out is a purveyor of true authentic Mexican food. 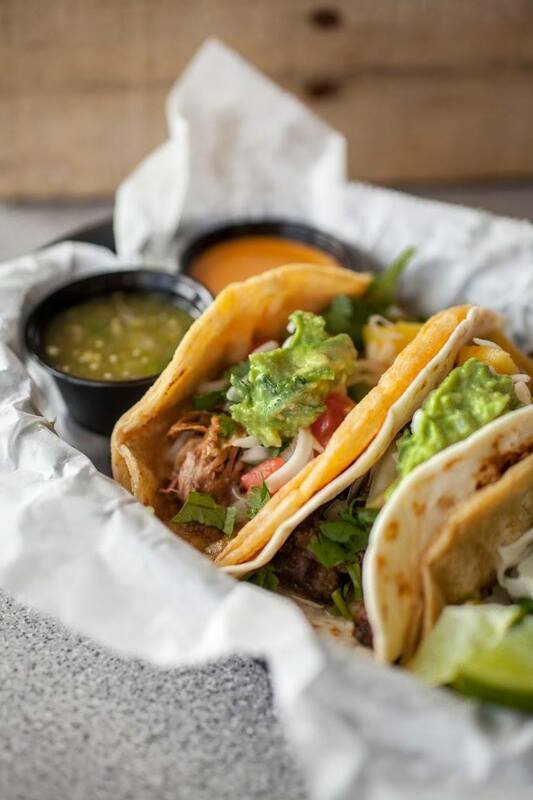 Take a journey through the cantinas, street carts, and markets of Mexico at Bowling Green's Mex-Out Mexican Grill. No need for a passport just come on in to Mex-Out for the best tacos, burritos, rice bowls, nachos and/or tortas. Mex-Out brings authentic Mexican food to Bowling Green in a classy environment at an affordable price. It allows people to enjoy ingredients not offered at the more "Americanized" Mexican restaurants. Excellent food, superior ingredients, and taking some of the most loved food the world over and bringing it to Bowling Green, in an environment that's fun and affordable. 6" Soft CORN tortilla, cilantro, onion, choice of filing, and salsa. 12" soft FLOUR tortilla, Mexican rice, black or pinto beans, lettuce, choice of fillings. 12" soft FLOUR tortilla, Mexican rice, black or pinto beans, lettuce, choice of fillings, covered with a layer of queso. 6" Soft FLOUR tortilla, cilantro, onion, choice of filing, and salsa. House made tortilla chips, melted tasty cheese, black orpinto beans, guacamole, choice of filling, and salsa. Mexican rice, black or pinto beans, lettuce, choice of filling. Mexican sandwich filled with choice of filling, beans, avocado, lettuce, tomato, and sour cream, all served upon a warm toasted roll. Lightly grilled 12" soft FLOUR tortilla stuffed with cheese and pico de gallo. Served with sour cream, & fresh hand smashed guacamole. Pork marinated in achiote, Mex-Out seasoning, roasted on a vertical spit with pineapple and onions. Steak, marinated in our Mex-Out adobo seasoning, then grilled. Pork simmered in a blend of spices and Mex-Out adobo seasoning, braised for hours, then shredded. Beef simmered in Mex-Out adobo seasoning. Braised for hours, then shredded. Shredded chicken, simmered in a thick and spicy chipotle sauce. Braised for hours, then shredded. Mexican sausage seasoned with our Mex-Out seasoning and spices, then cooked to perfection. Beef tongue simmered in a blend of spices and Mex-Out adobo seasoning. Braised for hours, then finely chopped. Pork rinds cooked with our Mex-Out seasoning, onion, cilantro, and tomatillo. Freshly made guacamole and vegetarian black beans. coke, sprite, dr. pepper, orange fanta, mellow yellow, powerade, diet coke, limonade, sweet/unsweet/raspberry tea, and full throttle energy drink.